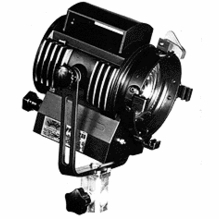 As an award-winning manufacturer of motion picture and video lighting, LTM Lighting offers quality fixtures for demanding applications. 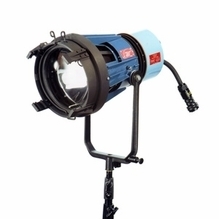 We carry LTM tungsten quartz lights, HMI lights and daylight lights at BarnDoor Lighting. LTM Lighting is the maker of the famous Pepper line of compact tungsten quartz lighting, which includes Fresnels and barndoor lights that are relatively small in size but provide great output on set. Shop Pepper lights in 100W, 200W, 300W and 420W from our selection. We also provide LTM Lighting Pepper Light Kits for professionals in search of quality tungsten quartz kits. 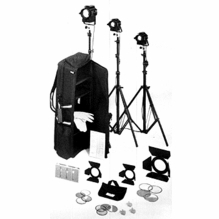 These kits include Pepper lights, barndoors, scrim sets, reflectors, lamps, adapters, gloves and additional accessories for professional production lighting. Each LTM light kit is compact and easy to transport on-location. With over 20 years of industry leadership, BarnDoor Lighting is the best place to buy quality TV and film lights. Questions? Contact us at 1-888-276-3667 or info@barndoorlighting.com.